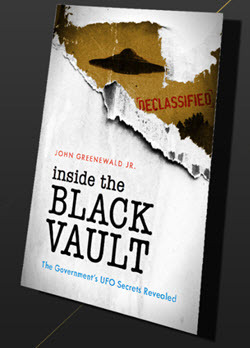 Note from The Black Vault: Playing off the popularity of the return of The X-Files, the CIA has created a few pages online showcasing their UFO documents, and even creating a, “How To Investigate a Flying Saucer” guide. 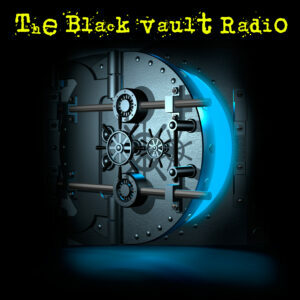 This guide has been archived below for research purposes, in case the online page ever disappears or is taken offline. It is not edited in any way. 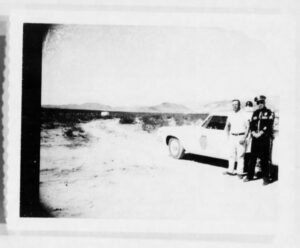 Southbound on a lone desert highway, police officer Lonnie Zamora was in pursuit of a speeding car outside the town of Socorro, New Mexico, when he was startled by a loud roar! Seconds later, he saw a large flame rise from the ground and pierce the sky above a remote patch of desert southwest of the highway. Fearing a nearby dynamite shack might have exploded, Zamora let the speeding car go, turned right, and drove down a bumpy gravel road that ran alongside the shack. Zamora’s cruiser clunked along the rocky road until he came upon a steep hill. Rising from behind the hill was a smokeless fire that glowed in a funnel of blue and orange tinted flames. The hill obscured the origin of the flames, so Zamora attempted to drive up it. His cruiser’s tires slipped and swayed on the loose gravel, but after three attempts, Zamora finally made it to the top. A shiny object, the size of a sedan, sparkled in the late afternoon sunshine about 150-200 yards from where Zamora was perched on the hilltop. At first glance, he thought it was a car overturned in an arroyo (dry creek bed), but when he drove closer, it appeared to be aluminum in color, not chrome, and oval-shaped like a football. Zamora drove toward the object, along the hill’s crest, for about 50 feet and then stopped the car. 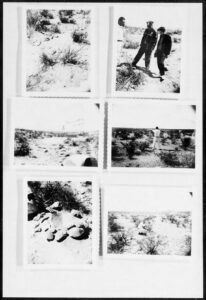 He radioed back to the sheriff’s office that he would be busy checking on a wreck “down in the arroyo,” and then he descended on foot down the hill toward the object. Roooaaarrr! Zamora was startled again by a very loud rumble, not exactly like a blast but also not steady like a jet engine. It started at a low frequency, with the pitch slowly rising. The flame appeared to be coming from the underside of the object, glowing light blue on top and orange at the bottom. Zamora panicked, afraid the object was about to blow. He ran to take cover but turned back to look at the object as he fled. He noticed a red symbol on the side, shaped like a point that was about 2 inches high and 2 inches wide. The object was smooth, a shiny white aluminum, with no visible windows or doors. 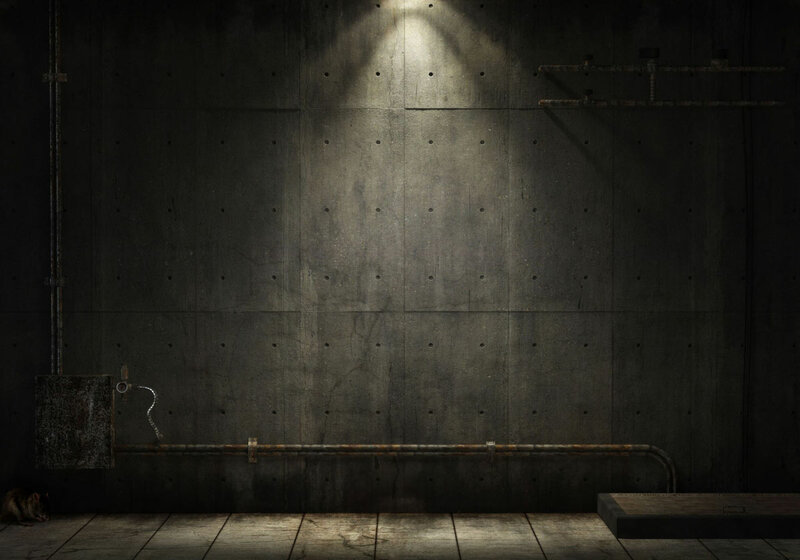 There appeared to be two metal legs, slanted outward, supporting it. Zamora sprinted to his car, hit his leg on the fender, and crashed to the ground. He got up, ran another 25 feet or so, and when he looked back again, he saw the object begin to rise. It rose to the level of the car, then higher, about 20 to 25 feet in the air. Zamora ran another 50 feet from his car, just over the edge of the hill, and ducked. Kneeling as close to the ground as he could, he covered his face with his arms for protection. Suddenly, the roar stopped. In the uneasy silence, Zamora lifted his head and looked. Hector Quintanilla, the last chief officer of the US Air Force’s famous UFO investigation program, Project BLUE BOOK, was in charge of the Zamora case. His team was convinced that Zamora was telling the truth, and despite an extremely thorough investigation, they were unable to locate the object or its origins. In an article for Studies in Intelligence called, “The Investigation of UFO’s,” Quintanilla says that the Zamora sighting is “the best-documented case on record.” It remains unsolved. Before December 1947, there was no specific organization tasked with the responsibility for investigating and evaluating UFO sightings. There were no standards on how to evaluate reports coming in, nor were there any measurable data points or results from controlled experiment for comparison against reported sightings. 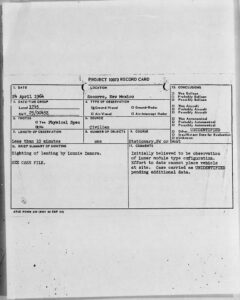 To end the confusion, head of the Air Force Technical Service Command, General Nathan Twining, established Project SIGN (initially named Project SAUCER) in 1948 to collect, collate, evaluate, and distribute within the government all information relating to such sightings, on the premise that UFOs might be real (although not necessarily extraterrestrial) and of national security concern. Project SIGN eventually gave way to Project GRUDGE, which finally turned into Project BLUE BOOK in 1952. The CIA’s concern over UFOs was substantial until the early 1950s because of the potential threat to national security from these unidentified flying objects. Most officials did not believe the sightings were extraterrestrial in origin; they were instead concerned the UFOs might be new Soviet weapons. To explain or identify the stimuli which caused the observer to report a UFO. Although BLUE BOOK, like previous investigative projects on the topic, did not rule out the possibility of extraterrestrial phenomena, their research and investigations focused primarily on national security implications, especially possible Soviet technological advancements. 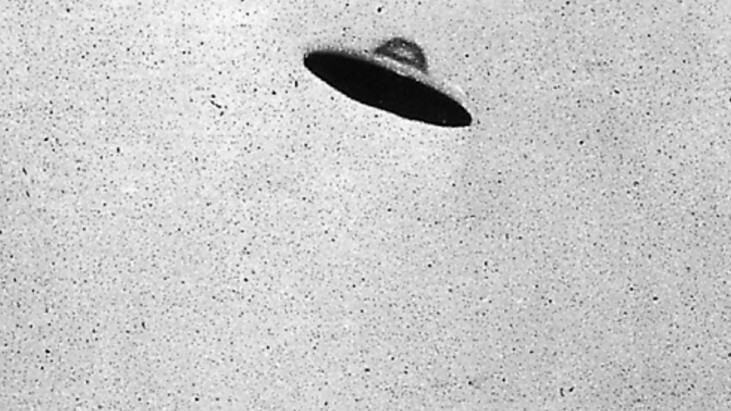 Throughout the 1950s and 1960s, various projects, panels, and other studies were led or sponsored by the US government to research the UFO phenomenon. This includes the CIA-sponsored 1953 Scientific Advisory Panel on Unidentified Flying Objects, also known as the “Robertson Panel.” It was named after the noted physicist H.P. Robertson from the California Institute of Technology, who helped put together the distinguished panel of nonmilitary scientists to study the UFO issue. Project BLUE BOOK also frequently consulted with outside experts, including: astrophysicists, Federal Aviation officials, pilots, the US Weather Bureau, local weather stations, academics, the National Center for Atmospheric Research, NASA, Kodak (for photo analysis), and various laboratories (for physical specimens). Even the famous astronomer Carl Sagan took part in a panel to review Project BLUE BOOK’s findings in the mid-1960s. The report from that panel concluded that “no UFO case which represented technological or scientific advances outside of a terrestrial framework” had been found, but the committee did recommend that UFOs be studied intensively to settle the issue once and for all. The US Air Force’s Air Technical Intelligence Center (ATIC) developed questionnaires to be used when taking reports of possible UFO sightings, which were used throughout the duration of Project BLUE BOOK. 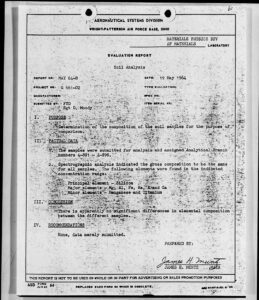 The forms were used to provide the investigators enough information to determine what the unknown phenomenon most likely was. The duration of the sighting, the date, time, location, or position in the sky, weather conditions, and the manner of appearance or disappearance are essential clues for investigators evaluating reported UFO sightings. 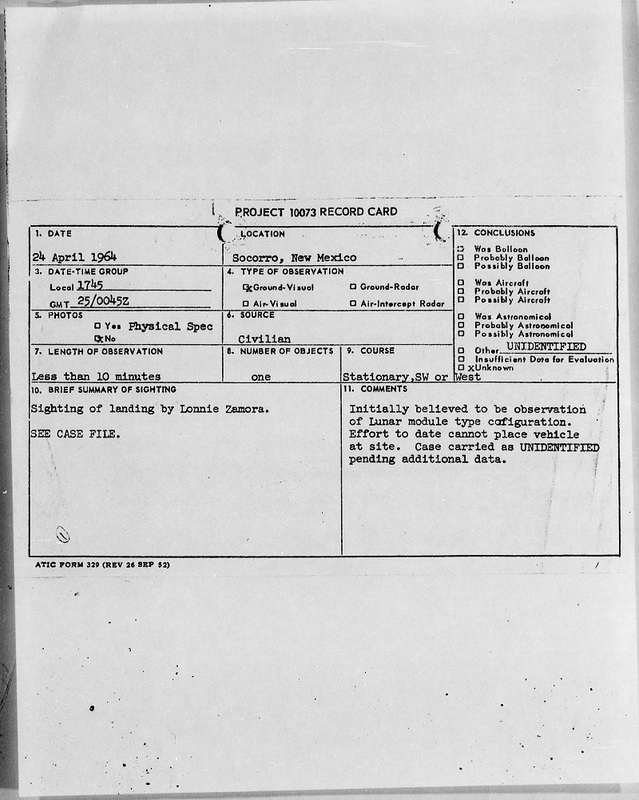 Project BLUE BOOK categorized sightings according to what the team suspected they were attributable to:Astronomical (including bright stars, planets, comets, fireballs, meteors, and auroral streamers);Aircraft (propeller aircraft, jet aircraft, refueling missions, photo aircraft, advertising aircraft, helicopters); Balloons; Satellites; Other (including missiles, reflections, mirages, searchlights, birds, kites, spurious radar indications, hoaxes, fireworks, and flares); Insufficient Data; and finally,Unidentified. Eliminate each of the known and probable causes of UFO sightings, leaving a small portion of “unexplained” cases to focus on. By ruling out common explanations, investigators can focus on the truly mysterious cases. Some common explanations for UFO sightings discovered by early investigations included: misidentified aircrafts (the U-2, A-12, and SR-71 flights accounted for more than half of all UFO reports from the late 1950s and most of the 1960s); celestial events; mass hysteria and hallucination; “war hysteria;” “midsummer madness;” hoaxes; publicity stunts; and the misinterpretation of known objects. Because of the significant likelihood a common (or secret military) aircraft could be mistaken for a UFO, it’s important to know the characteristics of different types of aircraft and aerial phenomenon to evaluate against each sighting. To help investigators go through the troves of reports coming in, Project BLUE BOOK developed a methodology to determine if the UFO sighting could likely be attributable to a known aircraft or aerial phenomenon. They wrote up detailed descriptions characterizing each type of aircraft or astronomical phenomenon, including how it might be mistaken for a UFO, to help investigators evaluate the incoming reports. Any photographs, videos, or audio recordings can be immensely helpful in evaluating a reported UFO sighting. 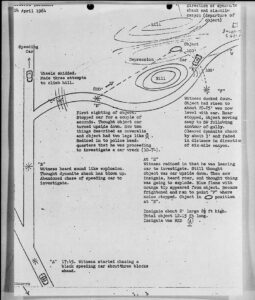 A famous case examined by the Robertson Panel was the “Tremonton, Utah Sighting” of 1952, where a couple and two children traveling cross-country on State Highway 30 outside of Tremonton saw what appeared to be 10-12 bright shining objects moving westward in the sky in a rough formation. The husband was able to capture some of the objects on film. The case was considered significant because of the “excellent documentary evidence in the form of Kodachrome motion picture films (about 1600 frames).” The Panel examined the film, case history, ATIC’s interpretation, and received a briefing from representatives of the USN Photo Interpretation Laboratory on their analysis of the film. The laboratory believed the objects were not birds, balloons, aircraft, or reflections, and therefore had to be “self-luminous.” The panel disagreed with the assessment that the objects were self-luminous, believing that if a controlled experiment was conducted, a terrestrial explanation for the sighting would be confirmed. As suggested by the Robertson Panel for investigating the Tremonton, Utah sighting (mentioned in tip #7), controlled experiments might be required to try and replicate the unknown phenomena. In the Tremonton case, the Panel suggested an experiment where scientists would photograph “pillow balloons” at different distances under similar weather conditions at the site. They believed such an experiment could help dispel the “self-luminous” theory about the objects in the film. Unfortunately, in this case, the cost of conducting such an experiment made the idea unfeasible. 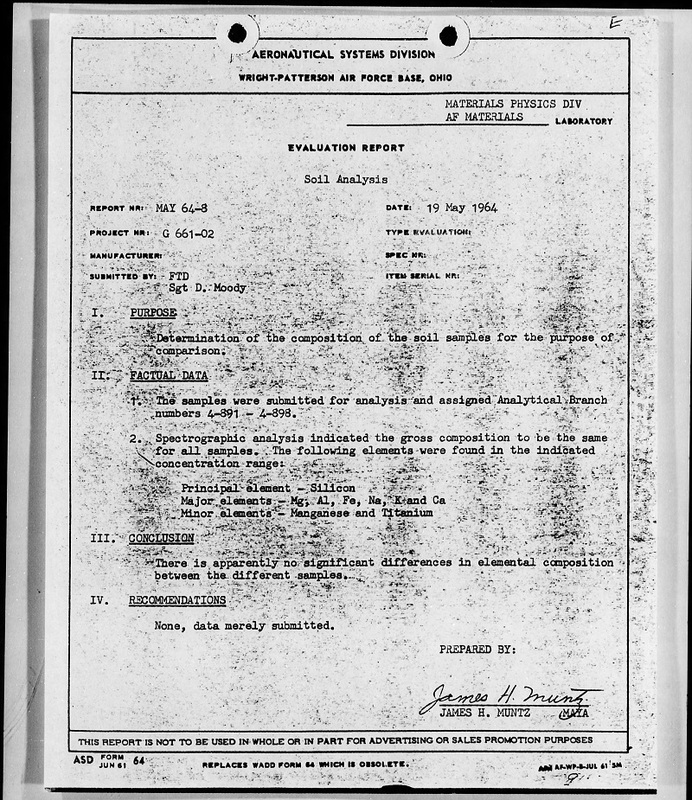 In the Zamora case (from the introduction), Quintanilla contends that during the course of the investigation and immediately thereafter, “everything that was humanly possible to verify was checked.” This included bringing in Geiger counters from Kirtland Air Force Base to test for radiation in the landing area and sending soil samples to the Air Force Materials Laboratory. “The soil analysis disclosed no foreign material. Radiation was normal for the ‘tracks’ and surrounding area. Laboratory analysis of the burned brush showed no chemicals that could have been propellant residue,” according to Quintanilla. “The findings were all together negative.” No known explanation could be found for the mysterious event. 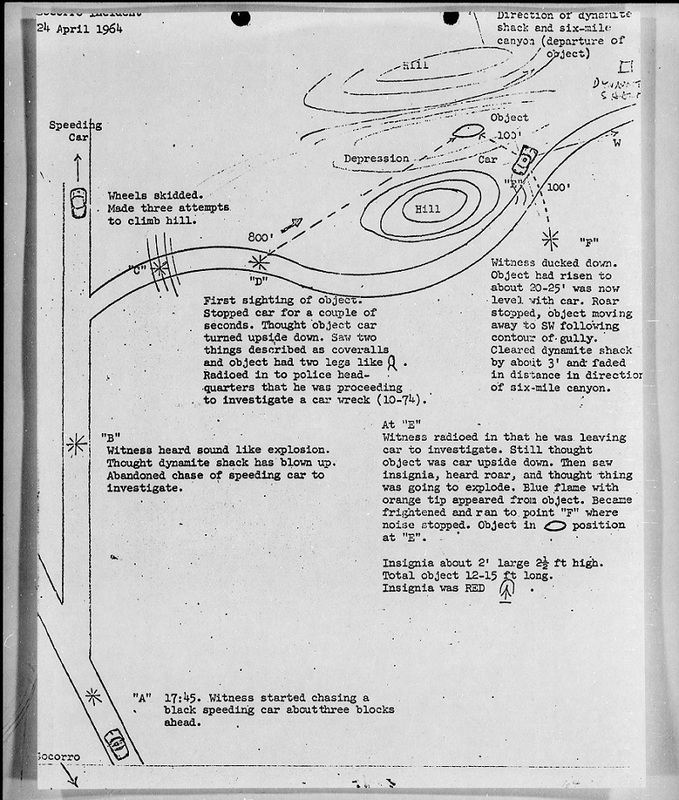 The Robertson Panel found that the Air Force had “instituted a fine channel for receiving reports of nearly anything anyone sees in the sky and fails to understand.” This is a classic example of needing to separate the “signal from the noise.” If you have too many false or junk reports, it becomes increasingly difficult to find the few good ones worthy of investigation or attention. The CIA in the early 1950s was concerned that because of the tense Cold War situation and increased Soviet capabilities, the Soviets could use UFO reports to ignite mass panic and hysteria. Even worse, the Soviets could use UFO sightings to overload the US air warning system so that it could not distinguish real targets from supposed UFOs. 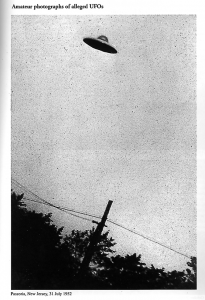 In order to lessen the amount of false-positive reports, the Robertson Panel suggested educating the military, researchers, and even the public on how to identify objects or phenomena commonly mistaken for UFOs. For example, they recommended training enlisted, command, and research personnel on how to properly recognize unusually illuminated objects (like balloons or aircraft reflections), as well as natural phenomena (such as meteors, fireballs, mirages, or noctilucent “night” clouds). By knowing how to correctly recognize objects that were commonly mistaken for UFOs, investigators could quickly eliminate false reports and focus on identifying those sightings which remained unexplained.